Counted as a noted manufacturer and supplier of best quality Air Terminal Base, we have been able to meet the requirements of the clients. Quality assured raw material and high-end mechanism is utilized in the manufacturing process thus, bringing forth a defect free range at the clients’ end. Our team of skilled professionals ensures to manufacture and bring forth the products in customized specifications so as to meet diverse needs of clients. 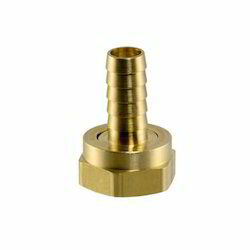 We are offering Brass Hose Barbs to the clients. 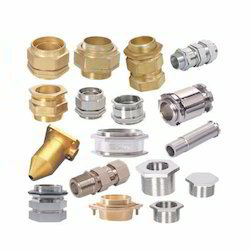 We are one of the noted manufacturers and suppliers of Cable Gland. Only cutting-edge technology and best grade metals & materials are used at our end while manufacturing this product. Giving effective functioning, this gland is assured for its compliance with international quality standards and norms. Moreover, to ensure safe transit of the products, we safely pack these products using optimum quality packaging material.